1. Strict nature reserves. 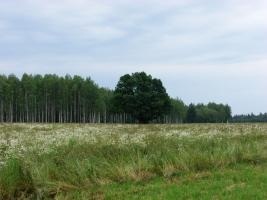 There are 4 nature reserves under strict protection in Latvia – Moricsala, Grīņi, Krustkalni and Teiči. 2. National parks. There are 4 national parks in Latvia: Gauja National Park, Ķemeri National Park, Slītere National Park and Rāzna National Park. 3. Biosphere reserves. In 1997 North Vidzeme Biosphere Reserve was established in Latvia. It is included in the international network of biosphere reserves. 4. Nature parks. There are 42 nature parks in Latvia. The most popular are Tērvetes Nature Park and “Daugava’s Circles” Nature Park. 5. Protected landscape areas. There are 9 protected landscape areas in Latvia. 6. Nature reserves. There are 260 nature reserves in Latvia. 7. Nature monuments. These include protected trees (secular trees, potential secular trees, rare trees of alien species), dendrological plantings, avenues, geological and geomorphological nature monuments (detritions of rocks, secular stones, caves, springs, waterfalls), which have scientific, cultural historical, aesthetic or ecological value. 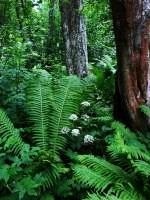 89 dendrological plantings, 60 avenues and 206 geological and geomorphological nature monuments are protected in Latvia. 8. 7 Protected marine areas. In order to ensure protection of endangersd species or special habitats outside or within special protected nature territories where protection is not ensured by any of the functional zones, microreserves have been established in Latvia. In microreserves as in special protected natural territories certain actions that may threaten rare species or their habitats are restricted or prohibited. Microreserves are usually smaller than special protected areas and the establishment procedure is less complicated and shorter compared to that of special protected areas. 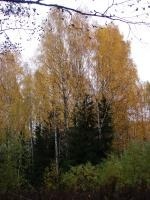 At the beginning of 2012, 2104 microreserves were established in the forests of Latvia (according to data from the State Forest Services). 1193 microreserves were also established for birds species and 911 microreserves for special protected habitats, plants, insects. Most of the microreserves are found in state forests (93%), whereas 7% are in private forests. Most of the special protected natural areas and several microreserves belong to the European network of protected areas (Natura 2000), created to ensure the protection of rare and protected species and biotopes. Of all the species and biotopes included in the lists of the two European Union Directives (Birds and Habitats Directives), 20 species of invertebrates, 5 species of mammals, 3 species of reptiles, 11 species of fish, 70 species of birds and 60 types of habitats are found in Latvia and are under protection. Natura 2000 in Latvia includes 327 territories – 4 strict nature reserves, 4 national parks, 3 nature reserve zones of North Vidzeme Biosphere Reserve, 237 nature reserves, 37 nature parks, 9 protected landscape areas, 9 nature monuments and 24 microreserves. In total they cover 12% of the total area of Latvia. The protection and management status varies – from minor restrictions in landscape areas to total prohibition of any activity in nature reserves.